In order to assess the prospects of Imran Khan’s Pakistan Movement for Justice (Pakistan Tehreek-e-Insaf) as a political institution, we need to study its composition. With the benefit of hindsight, it seems the worst decision Pakistan’s former Prime Minister Nawaz Sharif took in his political career after returning from exile in November 2007 was his refusal to accept Musharraf-allied Pakistan Muslim League-Quaid (PML-Q) defectors back into the folds of Pakistan Muslim League-Nawaz (PML-N). After that show of moral uprightness in the essentially unprincipled realpolitik of Pakistan, the cronies of Pakistan’s former dictator General Pervez Musharraf joined Imran Khan’s Pakistan Movement for Justice in droves and gave birth to a third nation-wide political force in Pakistan besides Pakistan Muslim League-Nawaz (PML-N) and Pakistan People’s Party (PPP). If we take a cursory look at the Pakistan Movement for Justice’s membership, it is a hodgepodge of electable politicians from various political parties, but most of all from the former stalwarts of the Musharraf-allied Pakistan Muslim League-Quaid (PML-Q). Here is a list of a few names who were previously the acolytes of General Pervez Musharraf and are now the ‘untainted’ leaders of Imran Khan’s Pakistan Movement for Justice which has launched a nation-wide crusade against corruption in Pakistan: Jahangir Tareen, a billionaire businessman who was formerly a minister in General Musharraf’s cabinet; Sheikh Rasheed, although he has not formally joined Imran Khan’s political party, he has become closer to Imran Khan than any other leader except Imran Khan’s virtual sidekick, Jahangir Tareen, and has been appointed minister for railways in Imran Khan’s cabinet; and Shah Mehmood Qureshi, a former stalwart of Pakistan People’s Party who served as Pakistan’s foreign minister from 2008 to 2011 until he was disgracefully forced to resign after the Raymond Davis affair and the US Navy Seals operation in Abbottabad in 2011 in which Osama bin Laden was killed, though he has once again been appointed foreign minister in Imran Khan’s new cabinet last year. I would implore the readers to allow me to scribble a tongue-in-cheek rant here on Imran Khan’s “Naya Pakistan (New Pakistan) Revolution”: This struggle for revolution isn’t the first of its kind in Pakistan and it won’t be the last. The first such “socialist revolution” took place back in 1953 against the unjust status quo of Pakistan’s slain Prime Minister Liaquat Ali Khan and Khawaja Nazimuddin’s Muslim League. The revolutionary heroes of yore, Ghulam Muhammad, Iskander Mirza and General Ayub Khan, laid the foundations of the “dictatorship of the proletariat” in Pakistan. The first lasted from 1958 to 1971, and its outcome was the massacre of hundreds of thousands of Bangladeshis and the separation of East Pakistan. The second such “socialist revolution” occurred against the “elected dictatorship” of Prime Minister Zulfikar Ali Bhutto in 1977 and the “revolutionary messiah,” General Zia-ul-Haq, ruled Pakistan from 1977 to 1988 with an iron hand. After sufficiently consolidating the gains of the “revolution” in Pakistan, he also exported the “revolution” throughout the Af-Pak region. The immediate outcome of the “revolution” was the destabilization of the whole region. It spawned many tadpole “revolutionaries” whose names we now hear in the news every day, such as the Taliban, the Haqqanis, Jaish-e-Muhammad and Lashkar-e-Taiba. The last such “Marxist-Leninist revolution” took place against the “monopoly capitalism” and “corrupt cronyism” of Benazir Bhutto’s People’s Party and Nawaz Sharif’s Muslim League in 1999. On a serious note, however, the reason why Imran Khan is desperate now is that despite forming the provincial government and ruling the northwestern Khyber-Pakhtunkhwa province for five years from 2013 to 2018 and then forming the government in the center last year, he has no tangible achievements to show. Criticizing the government from opposition benches and making electoral promises is always easy, but showing visible improvement in the affairs of governance is a hard sell. The electoral pledges of cracking down on corruption and doing away with bureaucratic red-tape might earn him a few brownie points in front of his immature audience, but to treat the malady of corruption, we must first accurately identify the root causes of corruption. Corruption and economy are inter-linked. The governments of prosperous, developed countries can afford to pay adequate salaries to their public servants; and if public servants are paid well, then they don’t have the incentive to be corrupt. There are two types of corruption: need-based corruption and greed-based corruption. Need-based corruption is the kind of corruption in which a poor police constable, who has a large family to support, earns a meager salary; he then augments his salary by taking bribes to make ends meet. I am not justifying his crime, but only describing the factual position. Whereas the instance of greed-based corruption, which is often legitimized, is the corporate exploitation of resources and workforce by behemoth multinational corporations whose wealth is measured in hundreds of billions of dollars, far more than the total size of the economies of developing countries. 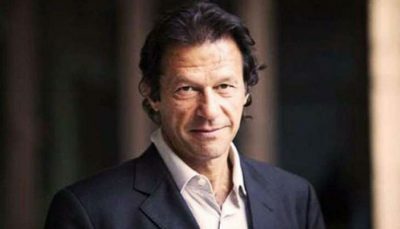 After establishing the fact that corruption and economy are inter-linked, we need to ask Prime Minister Imran Khan what is his economic vision to improve Pakistan’s economy, and on what basis does he claim to improve the economy on a nation-wide scale when he failed to make any visible improvement in Khyber-Pakhtunkhwa province during the Pakistan Movement for Justice’s five-year rule in the province from 2013 to 2018? Finally, Pakistan Muslim League-Nawaz (PML-N) and Pakistan People’s Party (PPP) are the experienced political parties in Pakistan. They learned their lesson from the politics of confrontation during the 1990s that Pakistan’s military establishment employs the Machiavellian divide-and-conquer tactic of hobnobbing with weaker political parties against stronger political forces in order to disrupt the democratic process and maintain the establishment’s stranglehold on its traditional domain, the security and defense policy of Pakistan. The new entrant in Pakistan’s political landscape, Imran Khan’s Pakistan Movement for Justice, will also learn this lesson after paying the price of colluding with the establishment, but by then, it might be too late. Nauman Sadiq is an Islamabad-based attorney, columnist and geopolitical analyst focused on the politics of Af-Pak and the Middle East regions, neocolonialism and petro-imperialism. He is a frequent contributor to Global Research. Ah Nauman Sadiq…! What a shame! Part of the so-called Liberal Fifth Column working on the lines of the Globalist Agenda against Pak’s national interests joining hands with the likes of ex-Prime Minister Nawaz and ex-President Zardari who cannot get over the fact ‘Stooge party’ is over – how accurate Adam Garrie of Eurasia was when he declared much earlier on that Khan’s coming into power has exposed both the Islamists and the Liberals in Pakistan that are working against Pak’s national interest. And here is a brilliant example of that.. what a rant!